One of the most basic, yet important, feature of every mobile phone is its ability to make calls, and to keep a record of it. The digital location within your mobile phone where your call history will be stored is known as a phone log. This feature is recorded inside the internal memory of your phone, which means that it is an inherent characteristic of every mobile phone, irregardless of its brand, model, design, or worth. You may also see workout log examples. The details that a phone log holds include the calls that you receive, whether or not you answer them, and the calls that you make. But there is a different log for the incoming (or the calls that you receive), the outgoing (the calls that you make), and the missed calls (or those that you received but wasn’t able to answer). You may also like daily work log examples. Think of it like a drawer or a filing cabinet where there are different compartments, and different files kept in each one. A phone log works the same way. It organizes the calls that your phone is able to register so that you can review each one easily if you want to. You may also check out activity log examples. 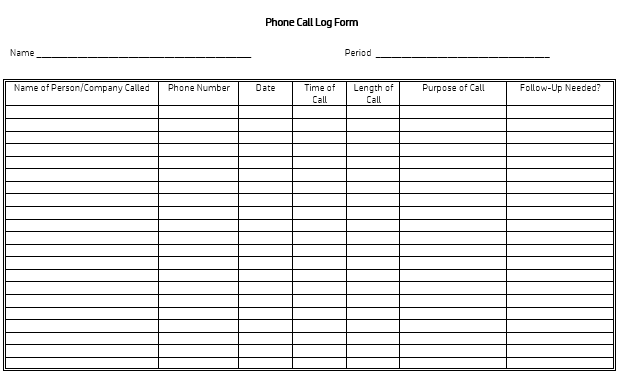 Accessing a phone log is very simple, but the process depends on the model of the phone. If your phone has a computer display like the smartphones nowadays, you can simply go to the main menu and click the telephone icon, which will then take you to your phone log. If your phone is one of those classic types with rows of keys arranged alphabetically, you can click the “call” button on your phone, which is usually the second one on the left. It will also automatically take you to your call history where you can access all the calls that have been made during the entire life of your phone. You may also see printable reading log examples. The categories on your phone log are often coordinated by color so you’d easily recognize them at first glance. So if you see a contact name and number in red, it usually means that you’ve missed that call. This differs among phone models though. You may also like mileage log examples. 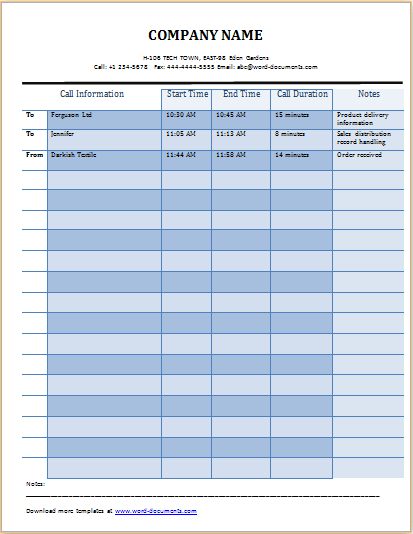 The phone log system serves a vital role to many businesses and organization irregardless of their size. Tracking the phone calls and the contact information of those to whom the call was made is vital in their field. For lawyers, for example, phone logs help them keep a record of all of their clients and the amount of billable time that they can charge each one depending on the lengths of their calls. You may also see food log examples. Companies and other types of businesses use phone logs to record data about their clients, especially their cellphone numbers which is necessary to contact them once again. Phone logs also show records of missed calls which can remind them of calls that they should return. It also allows them to access their messages, which is an important communication tool in the corporate field. You may also like printable workout log examples. 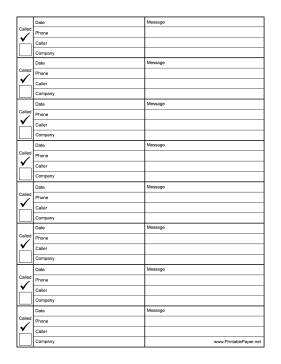 Phone logs can also be accessed from computers if you integrate them with your phone, which means that more than one person can access the information on the company phone. This is often helpful especially for businesses with receptionists who can help manage the clients who have reached their contact number. You may also check out workout sheet examples. Aside from text messaging, emailing can also be integrated into the phone log system which can help businesses become more flexible when it comes to communication medium. And we all know how important communication is to every business. 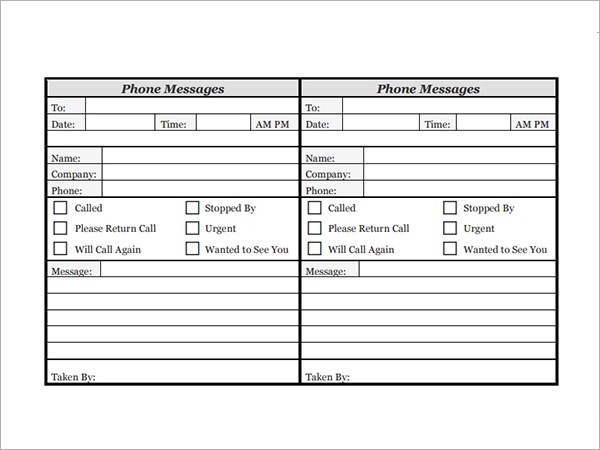 The word traditional itself should already have given you the idea that this type of phone log is a handwritten method of keeping track of your call history. It is a system that has embraced the process of writing down information on a pad that is specifically designed to record callers and their information. You may also see weekly workout log examples. This was how office workers and other individuals kept track of their phone calls before the technological explosion took place. They would physically write the names, number, and other contact information on pads specially designated for this purpose. This was back to the time when people didn’t have mobile phones who can do everything for them including, but not limited to, storing their call history. 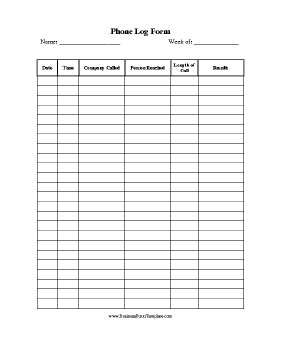 You may also like printable mileage log examples. However, this method is still utilized by some of our more time-honored contemporaries. Some people just don’t trust automatic and easy, which is basically every gadget’s motto. They prefer manual labor and they even apply that belief to keeping track of their call history. 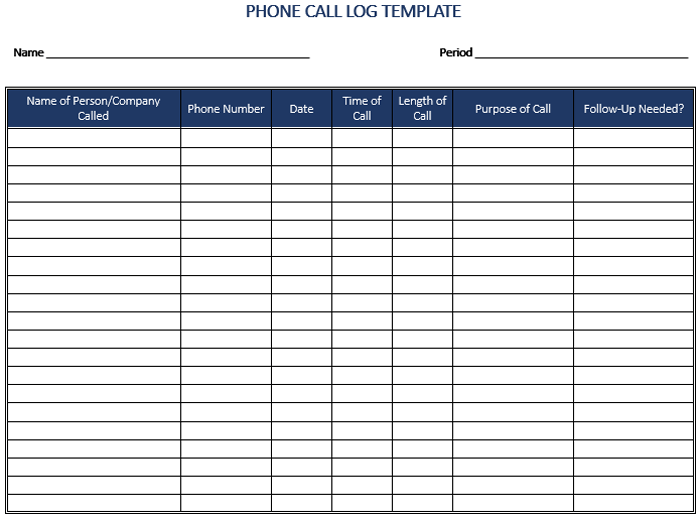 So if you are one of these people, or have just decided that you are, we have attached along with this article some great phone log templates you can choose from. You may also check out reading log for kids examples. People don’t manage phone calls just because they have nothing better to do. It actually serves them a purpose. Not just in the business setting, but also in the normal phone caller’s everyday life. You may also see blood pressure log examples. 1. Having a phone call log can help you track your expenses for billing purposes since it will help you identify the duration of the call and the amount you will have to pay for it. 2. For business settings, a company phone log can show the management who their employees are calling, and if these calls are necessary and advantageous to the company, or if they are using company resources for personal reasons. You may also like sheet examples in pdf. 3. 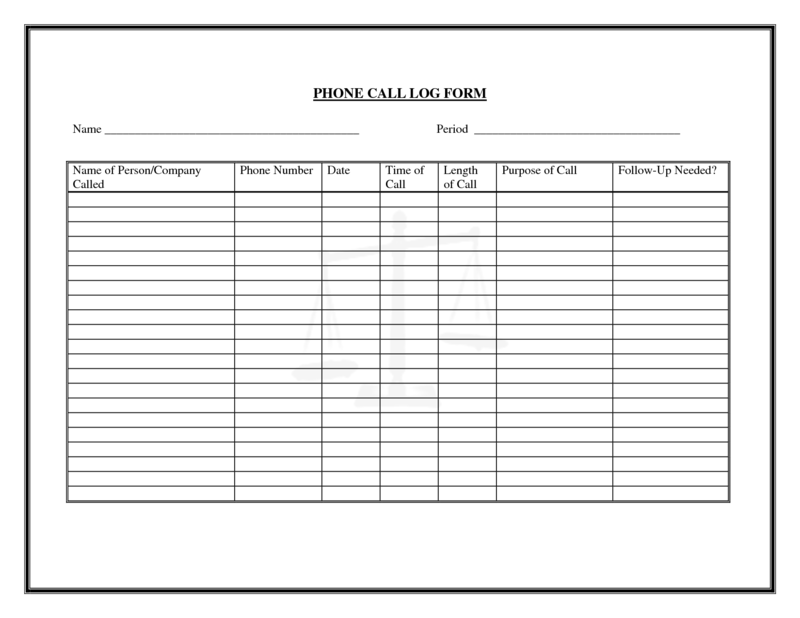 A phone log can help the user determine if he has missed any calls so that he can return them as early as possible, or if he has messages he hasn’t responded to yet. Also, if the number of missed calls in a company’s logs are not diminishing over time, it can signal the management that they need more staff to handle their calls. You may also check out workout log excel examples. 4. A phone log can show you the details of the call, such as the date when it was made, and the type of call. 5. For business settings, having a call log can make sharing contact information of clients easier since these documents can just be attached to professional emails, or photocopied. 6. Your call logs will also hold your actual voice mails for you. 7. For business settings, a call log will help the management oversee the general business communication interaction done over a certain period of time. 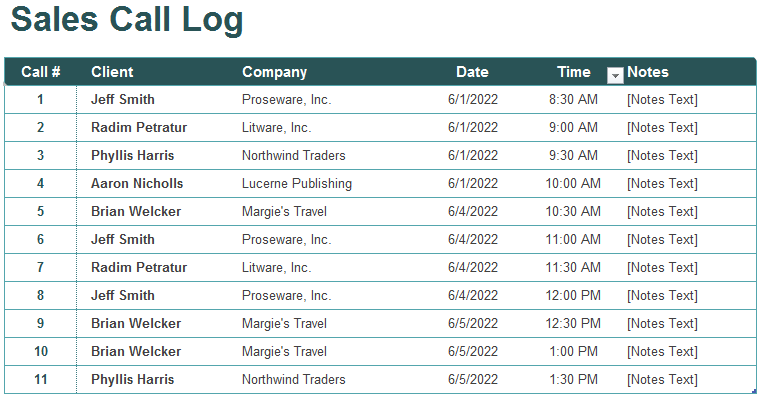 What Are the Details Included in a Phone Log? 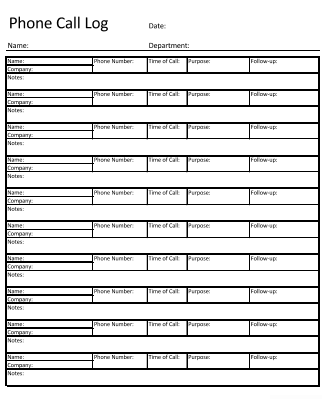 Traditionally, and more simply, phone logs detail the most basic information about a phone call such as the phone numbers of both the calling and the receiving party, the time when the call started and when it ended, and the duration of the call. You may also see training sheet examples. any faults in the connection that the callers encountered. Whether you are a business entity or a regular phone user, keeping track of your phone call history will prove itself to be beneficial to you, especially in this generation and technological era wherein communication has proven itself essential in our everyday normal lives, and phone calls are as habitual as eating and breathing. You may also like job sheet examples.